If you need some pole dancing gift ideas in the not-too-pricey range, there are plenty of options in the under $50 category. Here are a few to get you started, with more on the way soon. 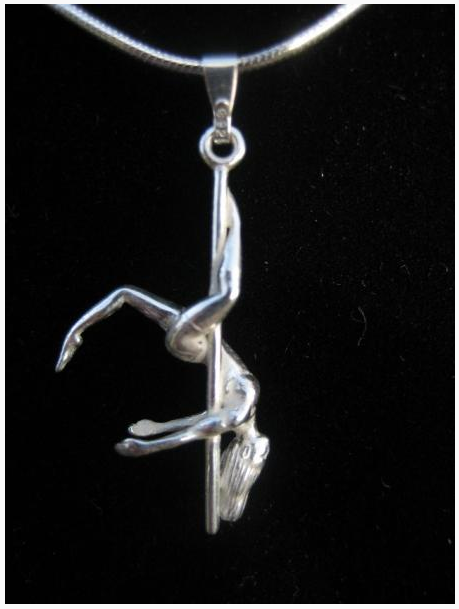 Check back often, as Your Pole Pal always has her radar up for cool new pole dance gifts! Pole Candy is a relatively new pole clothing company based in Spain and the Ukraine. Their clothing is colourful, comfortable, and well-made. It's also very affordable, not to mention unique. To date, Your Pole Pal hasn't seen anything else quite like Pole Candy clothing! Pole dance tops and shorts in a huge range of eye-catching colours and super fun styles form the basis of the Pole Candy line. Awesome accessories like leg warmers and their cute yet functional knee pads, round out the collection. There's something for every pole dancer, and every budget too. Prices on their website are in Euros, but they do ship internationally. If you need a currency converter, xe.com will calculate the price of any item in your currency, lickety split. If you're out of ideas the night before the big day, the Pole Tricks Handbook is just the ticket. You can download and print it off immediately after purchase, making it the perfect last minute gift for the pole dancer on your list. For a special touch, 3-hole punch the pages and pop them into a 3 ring binder. The recipient will appreciate being able to remove one page at a time while working on that trick, keeping the other pages neat and tidy. You'll also receive the Pole Position Illustrated A-Z Guide to Pole Dancing absolutely free with this purchase! 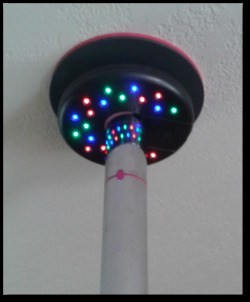 This removable LED light attaches to the top of almost any dance pole to lend an extra element of fun. Super easy to install, with no wires or cables to get in the way. The LEDs provide a bright, vibrant light that will last for ages. Three settings allow you to have the lights steady on, off, or pulse to the beat of the music.